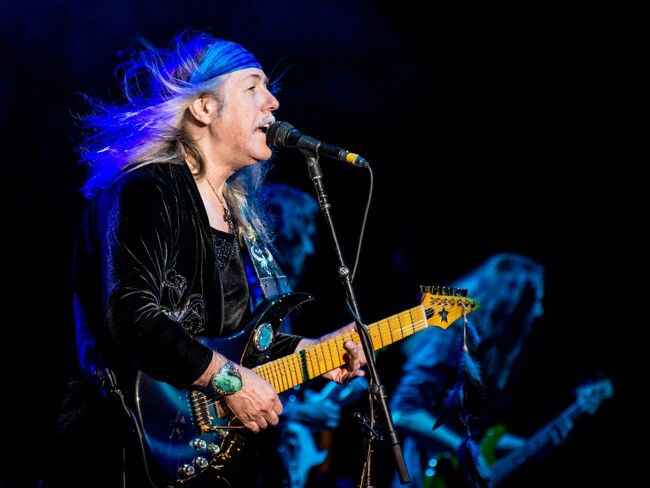 Speaking to guitar maestro Uli Jon Roth in his Welsh home, Fireworks had many questions to ask regarding this historic tour. 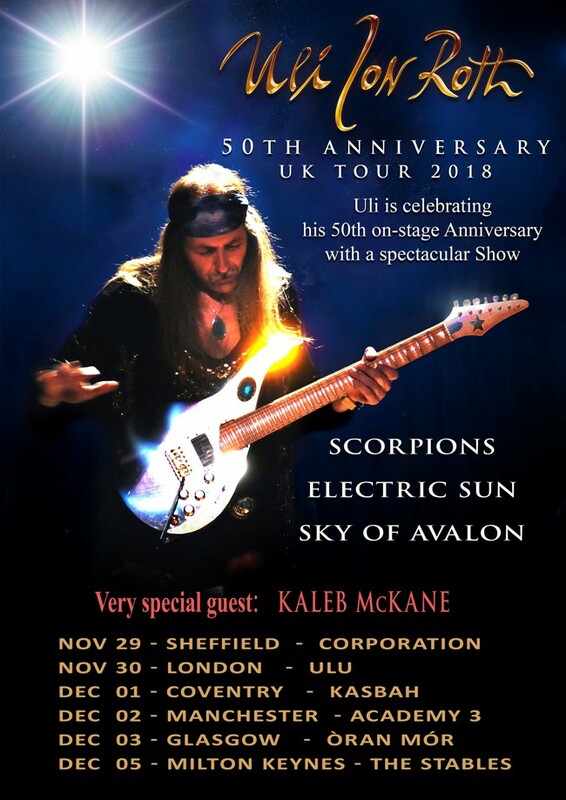 The full interview will be contained in Issue 85 of Fireworks Magazine but to set the scene before it takes place, here is Uli's description of the forthcoming tour. I realised that Dec 1968 was the first time I played on stage. Performing has been such an important part of my life, and emotionally it is always something to look forward to and I love doing it - so it has been a journey. Of course I have progressed and metamorphosed through many different stages so I thought it was a good idea to dedicate a tour to that idea. I am presenting a cross-section of some of my best stuff and delve back into my past with songs that I have not played for a long time. That includes my Electric Sun period; back in the eighties we used to fill places in the UK like the Hammersmith Odeon, but I stopped that project in the mid-eighties and that was that - I have not picked it up ever since because I had moved on. I thought there was some music (from that era) that deserved to be heard so I looked at the songs and picked the cream of the crop and worked them over; I did some editing and brought them up to a standard that I am happy with today. A lot of songs I didn't need to touch but others I edited and changed a few things. There are also the best of the songs from my Scorpions period and from my classical virtuoso releases – 'Transcendental Sky Guitar' and 'Metamorphosis Of Vivaldi's Four Seasons'. We are playing a couple of songs dedicated to my deceased brother Zeno; he was a great songwriter and left us a strong collection of beautiful songs - they fit perfectly with the programme. There will be some Jimi Hendrix songs as he was such an influence on my playing and music in my earlier days. I am also playing an acoustic solo section with my eight-string classical Sky Guitar for which I have written some new pieces which sound very big and orchestral. We have an interesting support act – Kaleb McKane who is a great new talent. It is a long show (three hours, with an intermission maybe to get a pint of beer!) but we are aided with a big screen with moving images. I think it will work as I have done long shows before and this one is planned very well. 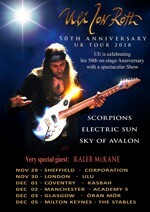 50th ANNIVERSARY NOVEMBER/DECEMBER 2018 UK TOUR WITH SPECIAL GUEST "KALEB MCKANE"